Expert advice and tips on improving your photography from Damien Demolder. 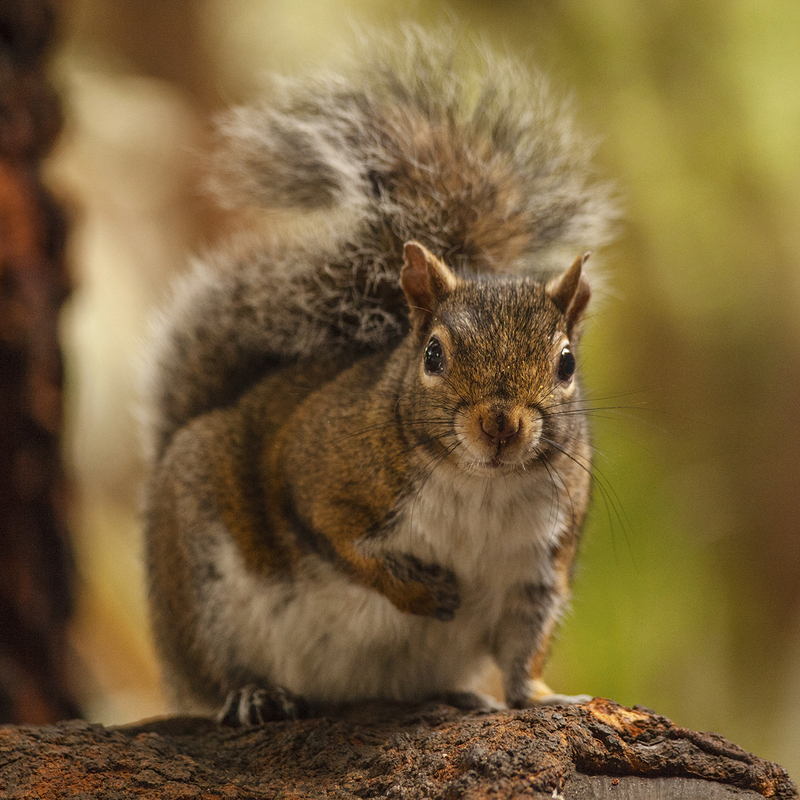 He gives his appraisal of Squirrel by Lisa Dearnley-Davison, and offers advice on how it might be improved. 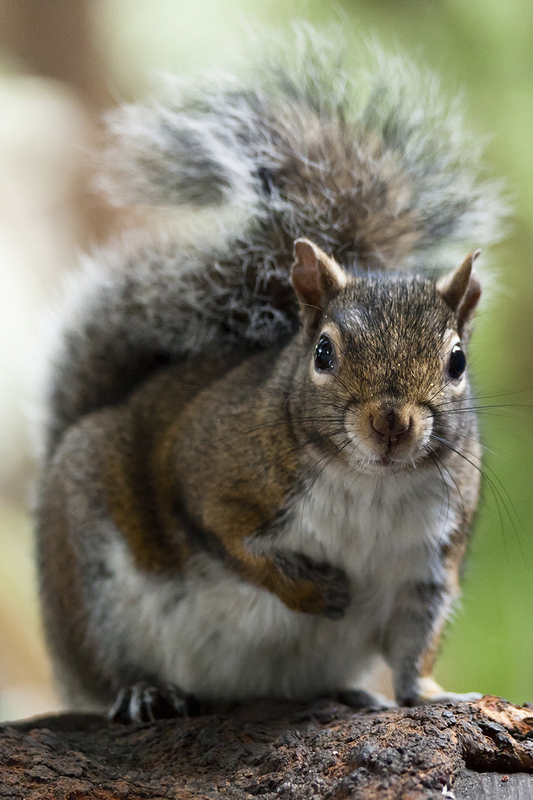 It’s easy to dismiss pictures of squirrels as cheap shots, because these inquisitive creatures are relatively easy to get close to. Humans are also easy to get close to, but we don’t think, ‘Oh no, it’s another Homo sapiens picture – how boring’. I like this shot because Lisa really has the squirrel’s attention, and that eye contact draws us in. The shallow depth of field and a 150mm focal length is perfect for the occasion, as she has the head in focus and the rest of the body gradually softening away in to the distance. In fact, the eyes aren’t quite the centre of the focus area, but the little catch lights are hard enough that we can be fooled – and that’s OK.
Lisa has made a well-judged crop to create a portrait from a landscape-format image, but I would like a little more of the background to give us some context. 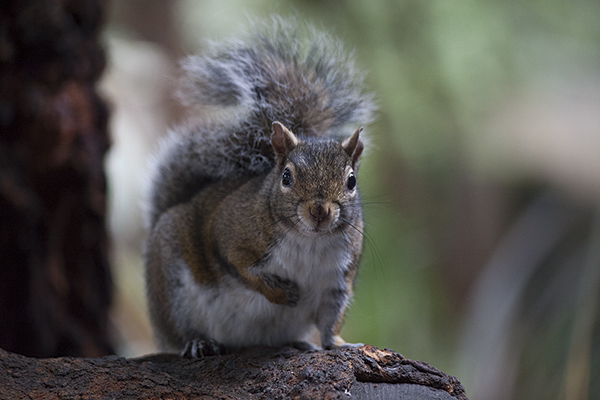 She’s sent in the original file, which shows much more tree, so I made a square crop that includes enough for us to imagine the squirrel is in the forest – not running around in a zoo. It was an overcast day, and Lisa’s image is suitably cool to show that. I’ve created a more fictitious set of circumstances by warming the shadows and midtones to give an autumnal air to the scene. It isn’t the truth, but I don’t really care; this is art, not the news. I certainly like Lisa’s shot the way it is, though, mine is just an alternative view.